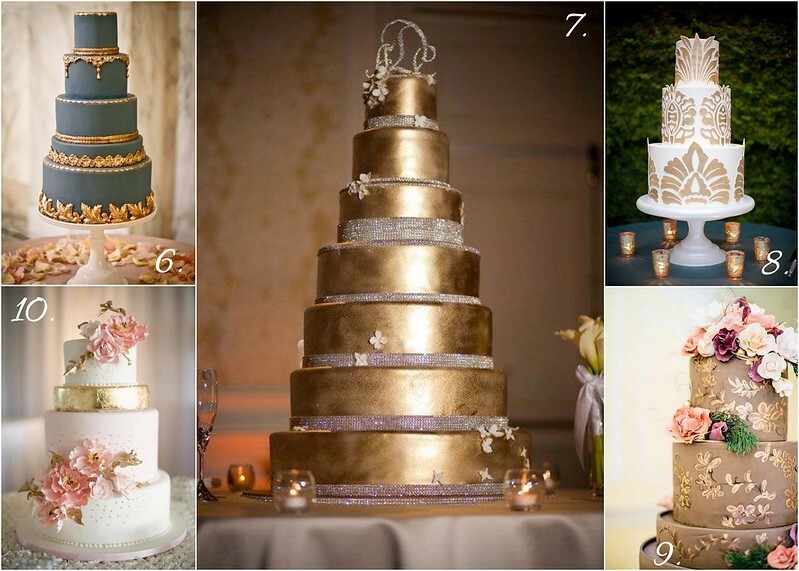 When it comes to glamorous wedding cakes, we say go for the gold! Gorgeous with almost every color under the sun, this metallic is as timeless as your mother’s pearls and luxe enough to satisfy any diva. 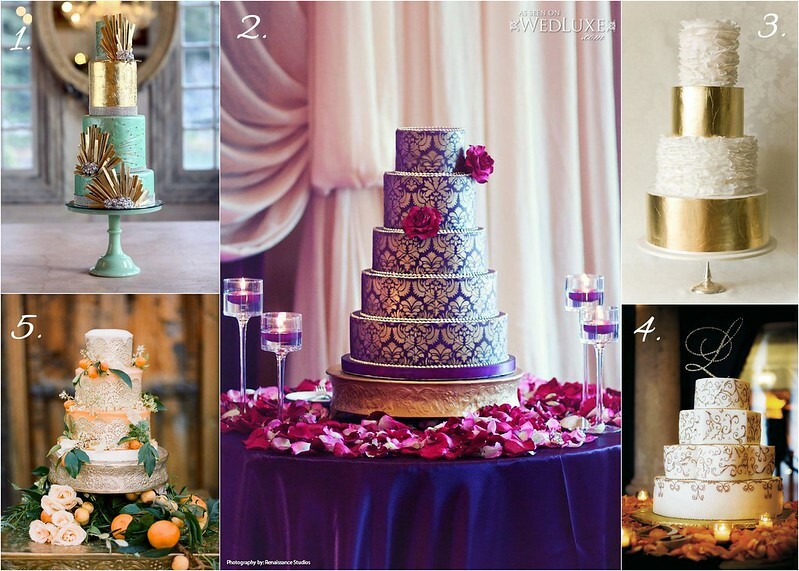 Plus, a gold wedding cake provides the perfect excuse to continue the gilded theme right through your bridal jewelry and hair accessories. This entry was posted on Tuesday, March 11th, 2014 at 11:35 am	and is filed under Inspiration. You can follow any responses to this entry through the RSS 2.0 feed. You can skip to the end and leave a response. Pinging is currently not allowed.